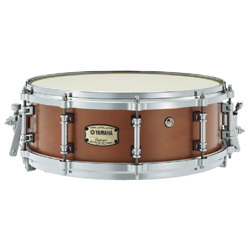 Using carefully selected maple, OSM Series concert snare drums deliver authentic concert snare tone. 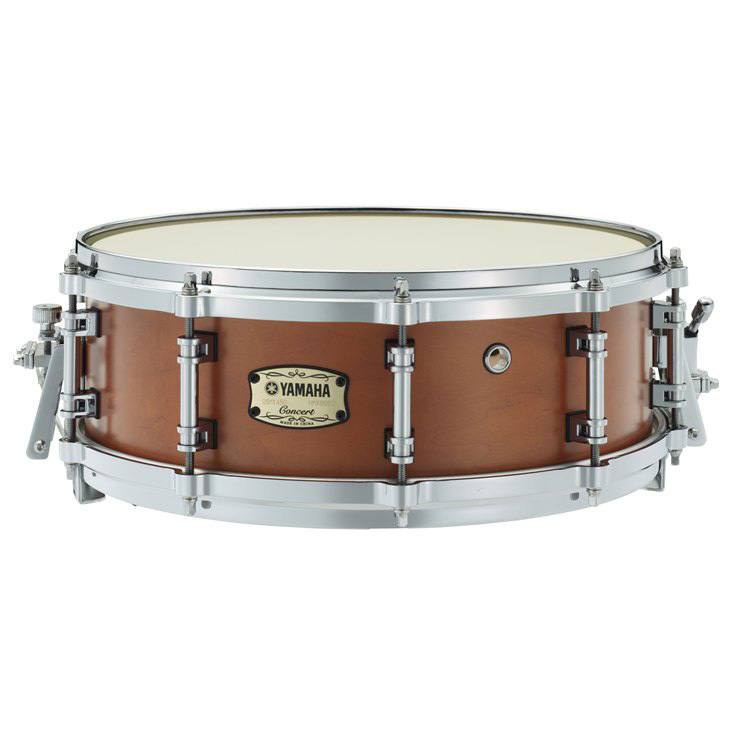 OSM Series concert snare drums are a great choice for a wide range of applications: professional musicians, music students, symphonic orchestras and bands. Dixon PSS-920EX Extended Height Snare Drum Stand, Medium Double-Braced is a versital Concert stand for use at home or school. SXP-BR features 16 hand-hammered brass jingles that add both a professional flair and focus to the sound. 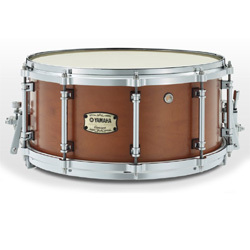 The beautiful wood grained shell is both strong and striking in appearance. While the sound produced is pro-level, the price point of this model should make it very attractive for schools and students on a budget. 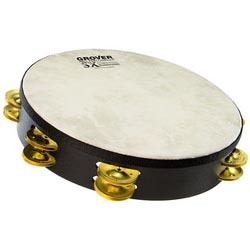 The Grover SX Tambourines are general-purpose concert instruments specifically designed for those looking for a value-priced, quality concert tambourine. Fabricated from wood fiber, the Acousticon shell is formed under heat and pressure creating a strong, durable frame. 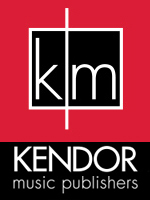 Pre-tensioned heads made from durable FiberskynT material are chosen for their strength and tension stability. Includes Cordura bag and roll ring. These replace the SVTAMBBR SV series. 21st Century (2014). Set of parts - no score. Black, Dave & Chris Bernotas NEW ITEM! Durr, John Alexander NEW ITEM! For buckets and junkyard instruments. 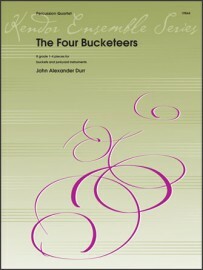 This collection of eight pieces for buckets (and shaker, pot lid & large plastic bin) offers rhythm music spanning grade 1-4 levels. 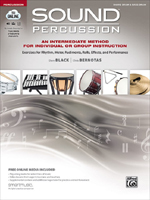 The variety in difficulty makes this collection great for general music classrooms and percussion ensembles. Contents: De/Reconstruction; Joropo Cubano; Impending Improvisation; John's Groove; Palindrome; Robotic Interplay; Time Shifter's Waltz; Backbeat Blasters. A Christmas Present, based on God Rest Ye Merry Gentlemen and We Three Kings Of Orient Are. 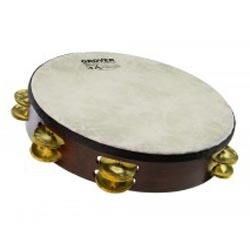 For Bells; Vibes; Marimba; Drumset; Suspended Finger Cymba/Triangle; Sleigh Bells; Tambourine. 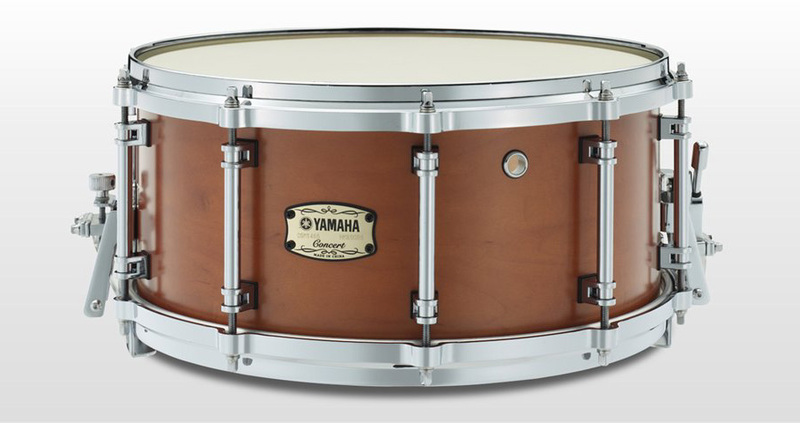 For Snare Drum/Bongos; Medium Tom Toms, Low Tom/Suspended Cymbal. For Cup Cymbals/3 Splash Cymbals; Mid Drum/China Cymbal/Rainstick; Low Drum/Bullroarer; Low Drum/ Bullroarer.